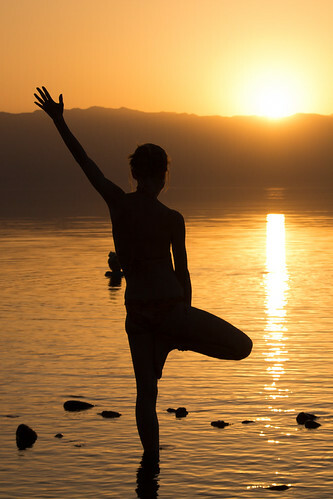 Guest post today on a variety of common ailments and some natural, holistic ways to address them, including a couple of my favorites: acupuncture and yoga. Life tends to throw things at us when we least expect it, whether it be respiratory problems, everyday aches and pains, such as back problems, or general discomforts. When leading an extremely busy life as it is, how can one fit such annoyances into an already-packed schedule? While we may not have the answers to everything, here are a few tips to get some of the most common health-related problems under control so you can continue leading the best life possible and getting the most out of each and every day. Salt therapy is a form of natural therapy where patients are exposed to salt air for an extended period of time. In many cases, an environment similar to that you would see at a spa is set up so you can sit back, relax, read a book or take a much-needed nap; all while reaping the benefits of easier breathing. Studies have shown this treatment can help those with a wide range of respiratory problems, such as asthma, sinus infections or allergies. Salt therapy is also a great option for fighting the common cold so you can get back to work quicker and keep up with the needs of your family. Asthma is an extremely common ailment. As of 2008, at least 10% of children and 10% of adults in Australia had asthma and the numbers keep climbing, according to Healthinsite. Instead of spending your hard-earned cash on medications to treat your breathing problems, you may want to incorporate natural herbs into your daily life. Butterbur, Ivy Leaf Extract and Ginkgo Extract are just a few of the many options you can reach for if your asthma has gotten out of control. Before making herbs a part of your daily life, be sure to ask your doctor if any medications you are currently taking may have a negative reaction when coupled with the herbs you intend on incorporating into your diet. Pain can hit us at the most inconvenient times in life. That doesn’t necessarily mean we have to let it slow us down. Whether you are experiencing joint pain, back pain, or even the uncomfortable feelings that go along with constipation; there are a variety of natural solutions that can be tried before drastic measures must be taken. Massage, for one, is a great pain reducer. It helps with all sorts of pain caused by things such as muscle tension, headaches, and even joint pain. Stretching is also beneficial, but it never hurts to talk to your doctor to verify the cause of your pain so you can take the proper course of action to alleviate your symptoms, versus causing more damage. 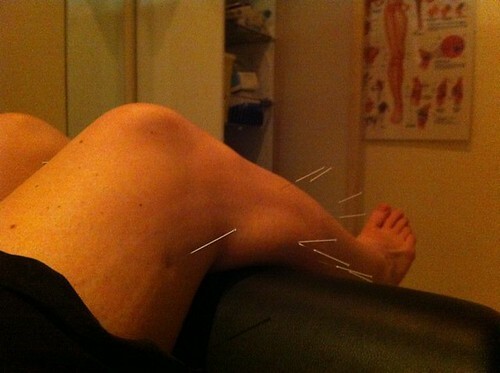 Acupuncture is another fantastic and unique form of natural therapy. Although there are theories as to how acupuncture works, there is yet to be scientific proof at this time to verify these theories. According to MedicalNewsToday, Chinese medical theories state that acupuncture works by targeting Qi, vital energy runs throughout the body, located at different depths. Hitting certain ‘meridians’ (or ‘acupuncture points’) can cause a variety of different health benefits such as decreased nausea, reduced pain and lowered overall stress levels. Just like massage and acupuncture, cognitive behavior therapy can be used as a way to lower stress. The amount of stress you are under directly affects your ability to cope with pain. On top of that, when we are stressed, it is only natural to tighten up our muscles, grip the steering wheel roughly as we drive to work or rush through tasks, putting strain on our bodies in new ways. Cognitive treatment not only works with short term pain, such as that from a sprained ankle but also long-term pain that may be associated with cancer or arthritis. How you handle an outbreak and view the world has much more of an impact than you may think. Yoga is not only good for the mind, as a relaxation tool but it is also great for other daily struggles many individuals face, such as back pain and chronic constipation. If you’ve never given yoga a try for yourself then you’ve probably heard all kinds of interesting titles for different poses. The best poses to help reduce back pain include the Wall Plank, Low Cobra and (one of the most, well-recognized poses) Downward-Facing Dog. If you are a sufferer of constipation and eating right isn’t quite getting you where you’d like to be, you may want to try the Child Pose or Triangle Pose. Images through CC license from: Flickr-1, Flickr-2, Flickr-3, Flickr-4, Flickr-aqua dome, Royalty Free or iStock source. Vanessa Higgins is a trained medical health professional. She likes helping people in distress. She believes that all kind of diseases and disorders have a natural cure. She agrees with Voltaire’s saying that “The art of medicine consists of amusing the patient while nature cures the disease.” You can visit her website to know more about the benefits of salt therapy and salt lamps.